Looking to usher in the brand new year with a bang? We’ve got you covered – here’s a list of places in the world known for THE most “explosive” celebrations to start that countdown! If you have been watching television every year during the New Year’s Eve countdown, seeing how folks around the world celebrate and wishing you were there, perhaps it’s time for you to join in the excitement this time. Here we recommend you 10 great cities where you can experience a New Year’s Eve countdown you will never forget. 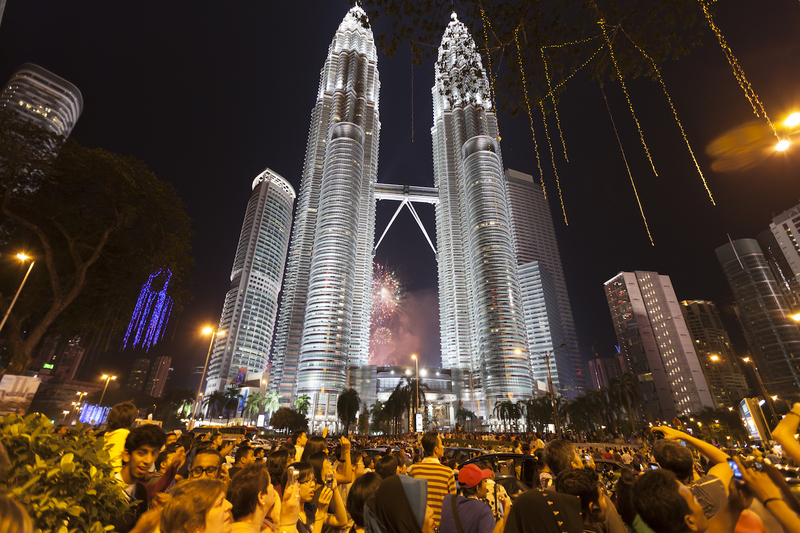 Kuala Lumpur’s most iconic buildings are the Petronas Twin Towers and its KLCC Park outside the towers is also the setting for an outdoor party and concert every year leading to the countdown at midnight. To get a better view of the fireworks display, you might want to walk to the edge of the park further away from the towers. Alternatively, you can also watch the fireworks from the surrounding buildings like Skybar at Traders Hotel, Fuego at The Troika or Vertigo at Banyan Tree Hotel. 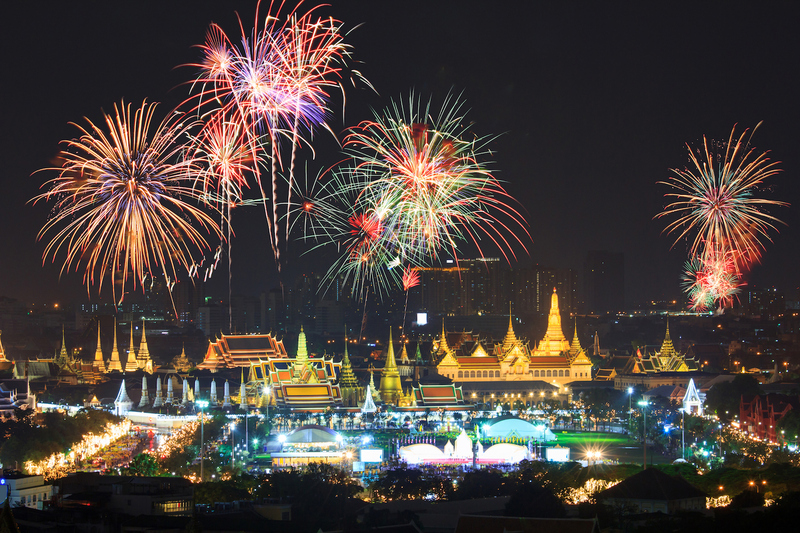 In Bangkok, you can opt for a raucous open-air party to ring in the new year or a quieter boat cruise along the Chao Phraya river with a lovely dinner onboard before the fireworks display at the stroke of midnight. The largest outdoor celebrations will be the one just outside CentralWorld shopping mall. 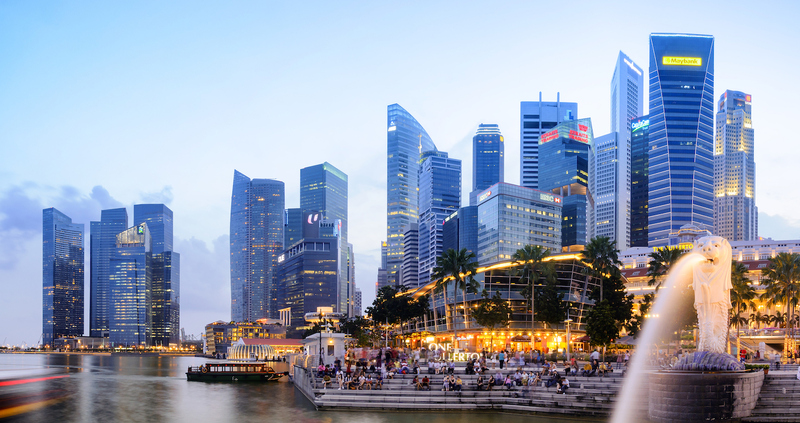 In Singapore, there will be a host of activities during the year-end season culminating in the New Year’s Eve countdown at Marina Bay with fireworks display at the stroke of midnight. Roads around the area will be closed, so you will have to rely on public transport to get in and out of the area. If you do not mind paying a premium to avoid the crowd, you can watch the fireworks from your hotel room. Some of the nearby hotels with a view of the fireworks are Fairmont, Fullerton Bay and Swissotel. 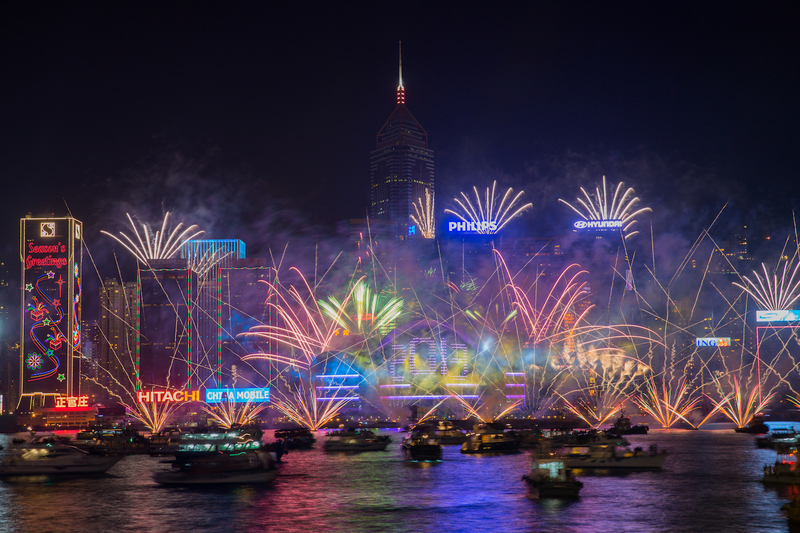 Hong Kong’s New Year’s Eve fireworks display over Victoria Harbour is hailed as one of the best in the world. The show will last around 10 minutes and you can be on either side of the harbour as the fireworks will be launched from the water. The focal point of the fireworks is around the Hong Kong Convention and Exhibition Centre (HKCEC) which will be equipped with a large LED display counting down to the New Year. 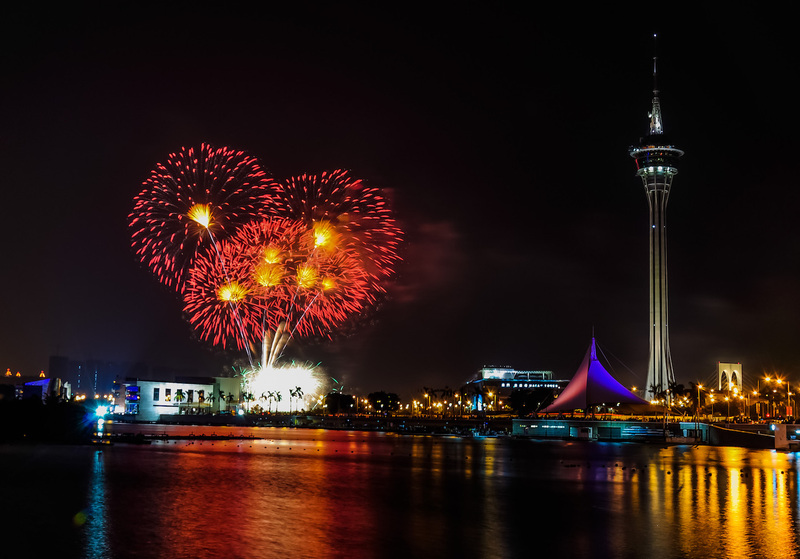 Macau, often called Asia’s Las Vegas, is another city that offers a spectacular over-water fireworks display on New Year’s Eve. The best place to get a clear view of the fireworks is outside Hotel Wynn Macau. You can also make your way to Avenue da Republica along Sai Van Lake to catch the fireworks with the famous Macau Tower in the foreground. In Taipei, all eyes will be focused on the tallest building in Taiwan, Taipei 101, during the countdown to New Year’s Eve as the fireworks display will emanate from the iconic landmark. You can get a clear view of Taipei 101 from several vantage points like Elephant Mountain, National Dr. Sun Yat-sen Memorial Hall, Xinyi Commercial District and Bishan Temple. 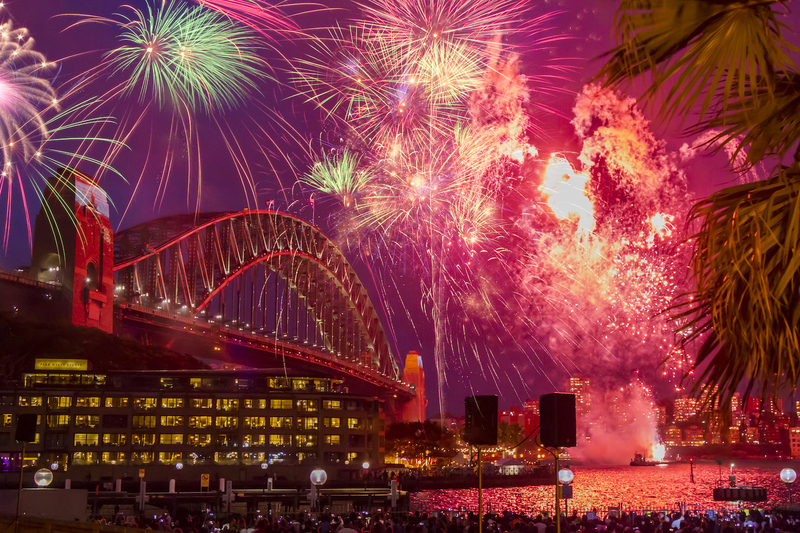 The fireworks display at Sydney Harbour Bridge is one of the most impressive in the world. Every year, locals and visitors will gather outside Sydney Opera House facing the bridge to view the show of a lifetime. 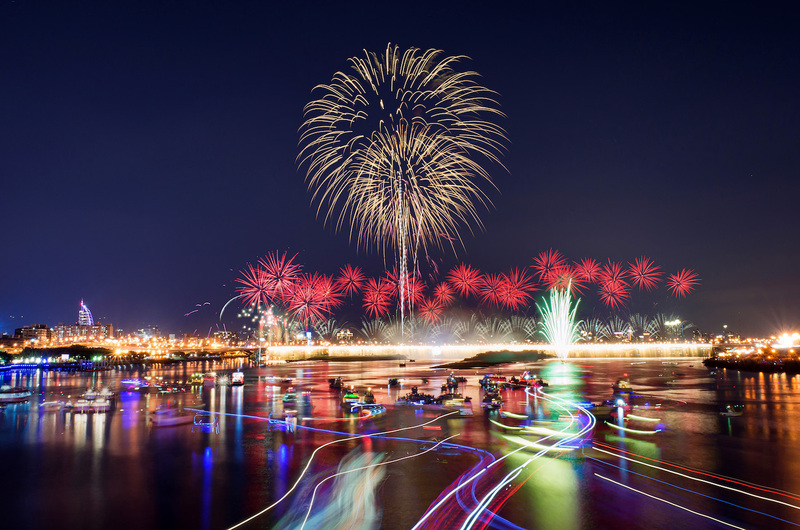 If you have a fear of crowds, going on a boat cruise might be a better idea – you can enjoy dinner on the open-air deck of the boat and watch the fireworks from a strategic location on the river. The news is out. 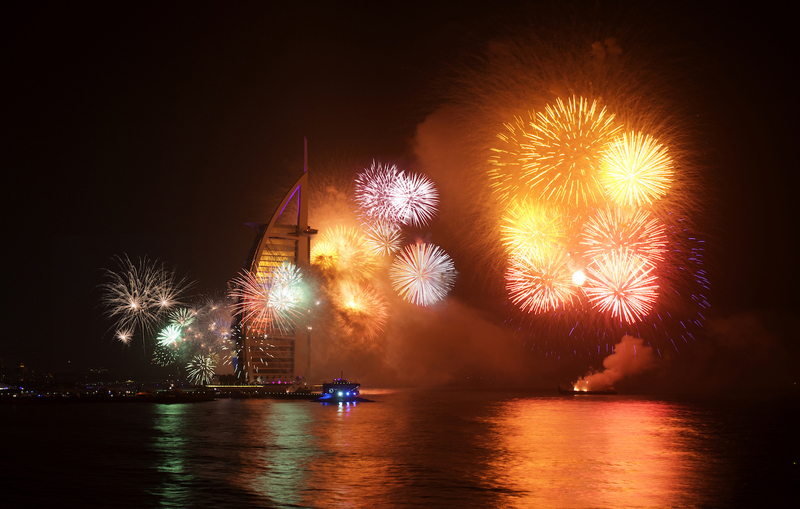 Due to popular demand, Dubai-based developer Emaar is bringing back the fireworks display to usher in the New Year 2019 at Burj Khalifa, the world’s tallest building, after skipping it last year. You can expect yet another spectacular show but be prepared to brave the massive crowds which could be in the tens of thousands. If money is no issue, you can book a yacht cruise, have dinner onboard and wait for the fireworks to light up the night sky with the city’s iconic buildings in the foreground while cruising the Arabian Gulf. 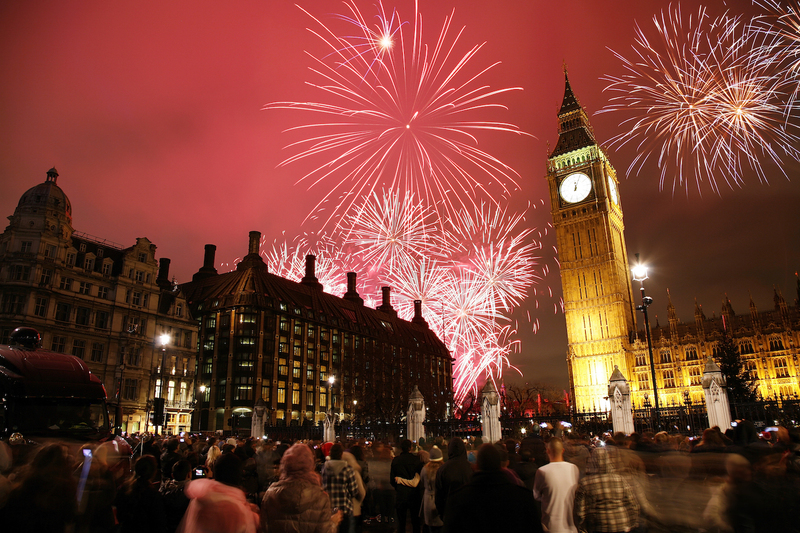 The popularity of London’s spectacular New Year’s Eve fireworks display has grown so much that the local authorities are selling tickets to the best viewing locations along the Thames river, on Waterloo and Westminster bridges. The first wave of tickets has already sold out. The good news is that they will be releasing a second and final batch of tickets on the Mayor of London’s website. The experience of listening to Big Ben at the stroke of midnight followed by the burst of fireworks in the beautiful, chilly city is indescribable. If you really can’t get a ticket to watch the fireworks at good locations, you can also book a boat cruise along the Thames river. Paris, known as the city of lights, is even more beautiful when it is decked out to usher in the New Year. Visitors can view a spectacular video show projected onto the Arc de Triomphe monument along Champs-Elysées with fireworks going off at the stroke of midnight. 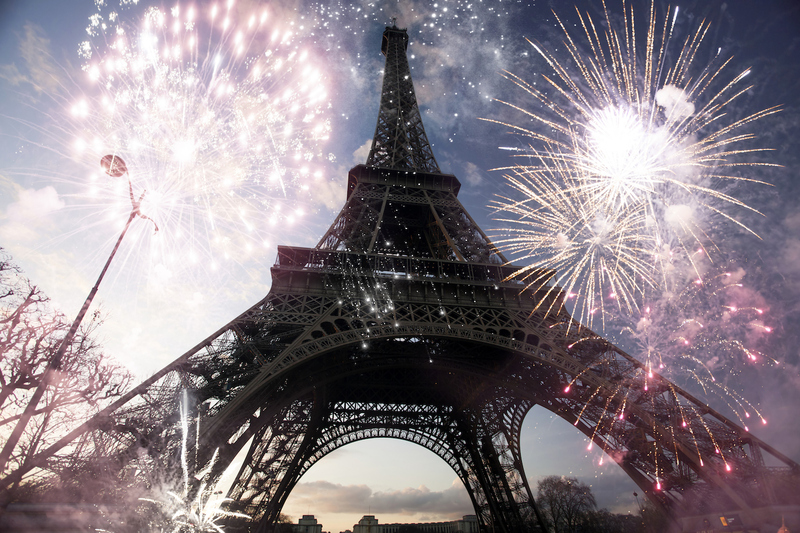 Contrary to popular belief, there will not be fireworks around the Eiffel Tower. Be prepared for the massive crowd that will gather around the area. Alternatively, you can book a cruise along the romantic Seine river, have a gourmet dinner onboard, enjoy the beautiful Parisian monuments by night and wait for the fireworks display.